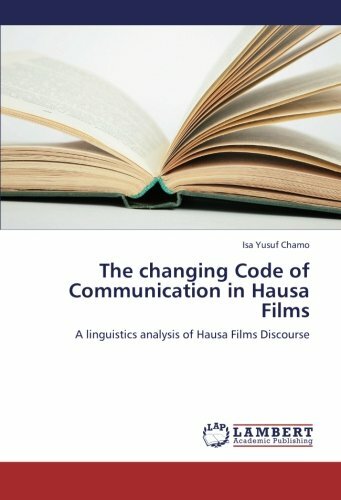 The book studies ways of interactions in Hausa film discourse which are seemingly contrary to the traditional norms of communication. The norms are captured in a non-formal Hausa concept of kunya and supported by shari’a legal system. in comparison with traditional Hausa Discourse. It also assess the film discourse through the analysis of film characters and their attitudes towards communicative performance. These include attitude toward some contextually marked forms and language skills (related to the use of figurative expression), attitude toward language and language varieties (code-switching and youth register) and attitude toward language choice and language use (forms of address and presence of new topics in public discourse). However, the reason for the choice of these communicative aspects of the Hausa language is the confrontation of the film features with people’ attitude to the film message and film language. Isa yusuf Chamo recieved his BA and MA degrees in Hausa from Bayero University Kano Nigeria. He holds PhD in Linguistics from University of Warsaw Poland in 2012.His Research interest include Film Discourse,Intercultural communication and language and identity. He is a staff of Centre for the Study of Nigerian Languages,Bayero University Kano.